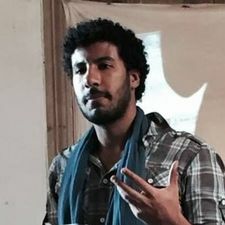 Hussein EL-HAJJ is from Gizah, Egypt. He is a graduate of the Faculty of Arts in the Department of English at Cairo University, and joined CILAS as a year-long student in 2014 before working there as a librarian and a coordinator of the translation lab. He works on himself to improve his craft as a translator, specifically in the social sciences and humanities. At CILAS Alex, he will serve as Teaching Fellow in the Arts (and Humanities) and translation lab. coordinator. Karim-Yassin GOESSINGER was born and raised in Frankfurt am Main. In 2013, he founded CILAS. Karim has coordinated courses in the Humanities and Social Sciences at CILAS and at AUC. In his teaching, he combines philosophy and urbanism with post-development practices, such as Qi Gong, cooking and tea. Karim writes and speaks about "pigeon towers" as a metaphor for higher education. At CILAS Alex, he will serve as Teaching Fellow in the Sciences and Research Director. Kari ROSENFELD is from Houston, Texas. She worked as a fashion photographer and producer before studying analytic philosophy at the University of Texas. She has since worked as an artist using writing, video, and photography. She will serve as the Artist in Residence at CILAS Alex. Batool EL HENNAWY is from Cairo, Egypt. She is currently completing her degree in Fine Arts at Helwan University. She has worked at the Cairo Institute for Liberal Arts and Sciences (CILAS), as a co-fellow, pedagogical coordinator, and media lab director. She is interested in the transnational dimension of education and social justice with a particular focus on collective learning and storytelling as pedagogical forms. She will serve as a Skills Lab facilitator at CILAS Alex.